Test di gravidanza positivo! Grazie di cuore dott. Benito e staff di Ceram per rendere possibile il nostro sogno. Non é stato facile e sappiamo di aver davanti ancora un lungo cammino prima di poter tenere tra le braccia a nostro figlio, peró questo é giá il primo fantastico passo. Con affetto e gratitudine. Sought out from the good reviews and recommended by Guys hospital London, we decided to pin all our hopes on Ceram. They delivered in every way. Staff are friendly and informative and Dr Benito makes you feel cared for and supported in a fatherly way that puts you at your ease in an otherwise daunting and scary experience. I'll never forget the way Dr Benito said "here they are" referring to the two embryos that he was about to transfer and feel this was the very first time I met my beautiful boy girl twins born in September 2015. 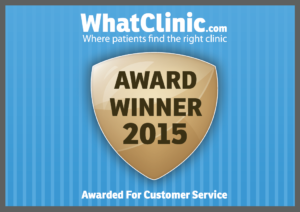 I highly recommend this clinic for the experience and their high success rates they achieve. Thank you Ceram, life is now complete. J'ai eux beaucoups de chance d'être si bien conseillée vers la clinique Ceram. Quelle bonheur! Alors qu'ont vie une expérience difficile, ils ont sue apaiser mon angoisse. J'ai été merveilleusement bien accueilli. Et vite oublier que j'étais dans une clinique! Grace a leur soutien leur gentillesse et toute cette générosité, j'ai été soulager et confiante. Humainement cette clinique est un exemplaire. Je suis très reconnaissante envers le Docteur Benito qui a été d'une gentillesse irréprochable! mais surtout très professionnel . Je ne pourrais jamais autant remercier cette merveilleuse équipe! Je dirais plutôt belle grande famille!! Merci merci Vous m'avez offert mon plus beau cadeaux de ma vie . Vous m'avez sauvé!!! Merci aux donneuses qui comprennent notre désespoir!!! La petite parisienne vous remercie encore et encore ainsi que mon amis qui m'a conseillé de venir vers vous!!! Ont vous adore! J'ai eux beaucoups de chance d'être si bien conseillée vers la clinique Ceram. Quelle bonheur! Alors qu'ont vie une expérience difficile, ils ont sue apaiser mon angoisse. J'ai été merveilleusement bien accueilli. Et vite oublier que j'étais dans une clinique! Grace a leur soutien leur gentillesse et toute cette générosité, j'ai été soulager et confiante. Humainement cette clinique est un exemplaire. Je suis très reconnaissante envers le Docteur Benito qui a été d'une gentillesse irréprochable! mais surtout très professionnel . Je ne pourrais jamais autant remercier cette merveilleuse équipe! Je dirais plutôt belle grande famille!! Merci merci Vous m'avez offert mon plus beau cadeaux de ma vie . Vous m'avez sauvé!!! Merci aux donneuses qui comprennent notre désespoir!!! La petite parisienne vous remercie encore et encore ainsi que mon amis qui m'a conseillé de venir vers vous!!! Ont vous adore! How can "thank you" to all at CERAM be enough for such a gift? A gift or chance of life and family?? It just doesn't seem enough but we deeply thank Dr. Benito and all of you at CERAM. It is with all your help, knowledge and expertise that i truly am able to say how lucky and with Gods grace, we feel truly blessed with our children. I think back to a time when right now this moment didn't seem remotely possible. I am glad i fought through it and my husband thanks me for persevering. I am glad i found CERAM. It felt like a blessing that i found you all and your compassion is limitless. I know in my heart that future couples who were in our position will no doubt be looked after by Dr. Benito and you and the team at CERAM, i just hope that they all will be as happy as we are. For that i thank you from the bottom of my heart! Again thank you from all of us!!! "My husband and I first visited Ceram in Jan 15 and was greeted by wonderful, professional people who made us feel very relaxed and gave us so much hope in having a baby. 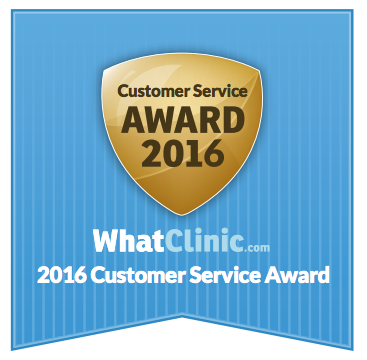 Dr Benito is very friendly, professional and went straight to the problem as to why I was not conceiving. Barbara was our direct nurse contact and was very knowledgeable in everything we wanted to know. I have now given birth to two beautiful twin girls because of Ceram. We cannot thank Ceram enough in making our dreams come true. I would highly recommend Ceram to anyone who is experiencing fertility problems. Just when you think there is no hope in having a baby, there definitely always is with Ceram"
Grazie Ceram per aver reso possibile il nostro miracolo! Nostra figlia oggi ha 2 anni ed è meravigliosa! Vi ricordiamo tutti con immensa gratitudine! T. P.
Nearly 11 weeks with twins! That's a headline I never thought would apply to me but thanks to the dedication and expertise of Dr Benito and his team it's now a reality. 20 years of trying to conceive, 2 partners and 3 IVF attempts in the UK I was at the end of the line. I had been recommended CERAM a few years ago but living in Manchester meant I had 2 clinics on the doorstep so I didn't think about travelling. How I wish I'd taken that recommendation! From the first Skype chat with the wonderful Barbara in May to implantation at the end of August the whole process was friendly, informative and carefully tuned to me. I was successful first time! Dr Benito appears to have an in depth understanding of how things work in the IVF world and how to tweak apparently simple things to maximise success. He and his embryology team are masters of the art, they cultured 5 beautifully perfect blasts - even a novice like me could see the difference in the quality. If you have any doubts about travelling DON'T! It really is worth the effort, CERAM are streets ahead of the U.K. and I would have no hesitation in recommending Dr Benito and his team. The experience of sunning myself in a lovely part of Spain and being relaxed I think contributed to my success. Arrivare al ceram è stata la scelta migliore che potessimo fare! Un centro fatto di persone gentili e disponibili, che hanno davvero a cuore i loro pazienti e che ti seguono passo passo non lasciandoti mai solo! A noi tutti i medici avevano detto di sperare solo in un miracolo eppure il dottore Benito, al solo secondo tentativo, ci ha regalato due bellissime bimbe! Non smetteremo mai di ringraziare il dottore e il suo staff per il \\\"miracolo\\\" concessoci e per le premure riservateci durante il giorno del transfert. De todo corazón queremos expresar nuestra enorme gratitud al personal de vuestra clínica CERAM, al Dr Hugo, Martha, Olga y a todo el personal por la ayuda que nos habéis proporcionado. Os conocimos a través de unos amigos nuestros de Inglaterra, ellos fueron los que nos aconsejaron que contactáramos con vosotros. Eso fue lo que hicimos y no nos hemos arrepentido de ello. Solamente aquí fue donde recibimos los resultados deseados y ahora tenemos un bebe maravilloso que está creciendo. La clínica de CERAM tiene un ambiente amable y cálido. Esto nos dio confianza y la fe en el buen resultado. Vimos y confiamos en un trabajo claramente de profesionales. Todo estaba claro, bien organizado y explicado con absoluta claridad a pesar de que hablamos idiomas distintos. Dr Hugo es un médico muy profesional y atento, aun estando siempre muy ocupado, nosotros veíamos que lo visitan muchos pacientes. Muchas personas vienen de otros países en busca de la ayuda del doctor. En apoyo a eso, vimos muchas fotografías de felices padres con sus hijos de diferentes nacionalidades, y es maravilloso. Vosotros hacéis un trabajo noble y bueno. Os deseamos buena salud, a vuestros seres queridos, crecimiento personal y la prosperidad de la clínica. Muchísimas gracias Somos muy felices que existís! Os deseamos lo mejor. CERAM ha sido galardonada por sexto año con el premio de Atención al Paciente de WhatClinic, en su centro de reproducción asistida FIV en Marbella por su rápidez y amabilidad con los pacientes durante sus tratamientos de FIV o fertilidad en general.